We get it! What’s “great” for the grounds of almost everywhere else in the world is not near good enough for a golf course. 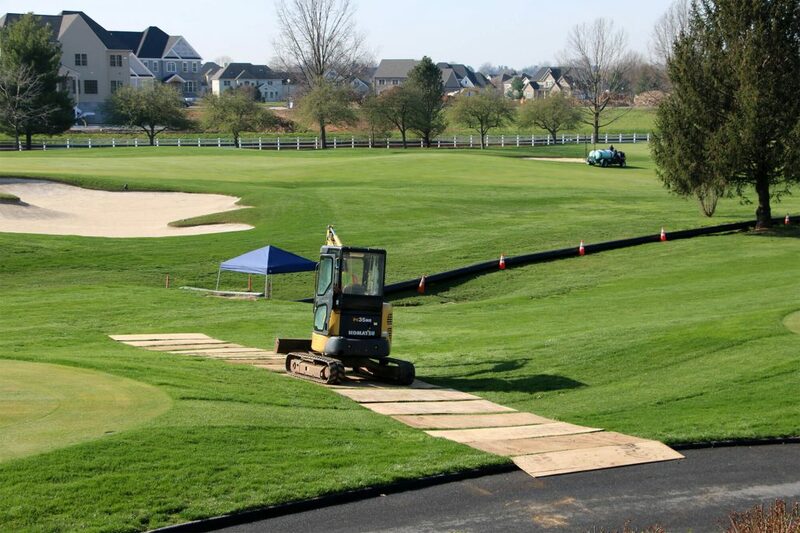 The special soil mixtures of greens, tees, and bunkers, and the sculptured contours of the links are easily ruined with even the most careful excavation. 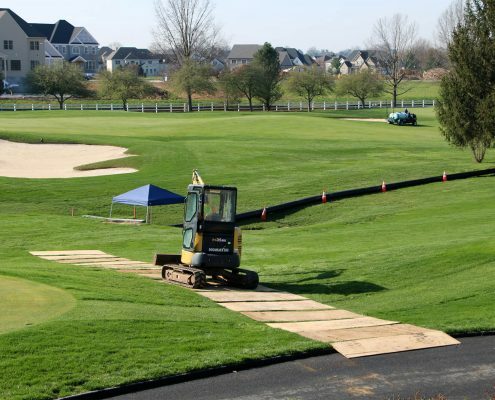 We know how to move personnel, equipment, and material across a course with minimal disturbance. We are disciplined enough to follow your greenskeeper’s specifications EXACTLY. With our pipe bursting and pipe lining equipment we can fix a lot with a few strategically placed excavations or perhaps no holes at all. 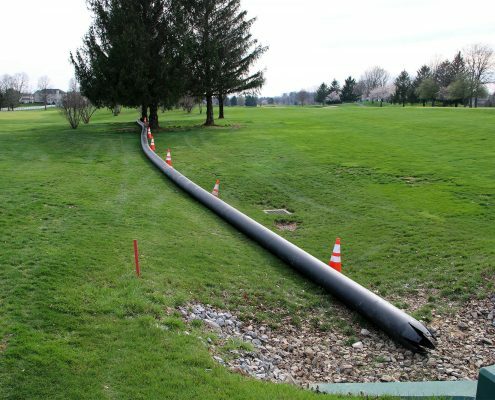 So whether it’s a broken sewer or storm water pipe going under your driving range, a collapsing culvert or CMP draining a water retention pond, a leaking water line to the clubhouse, or a broken conduit to the light poles, give us a call. 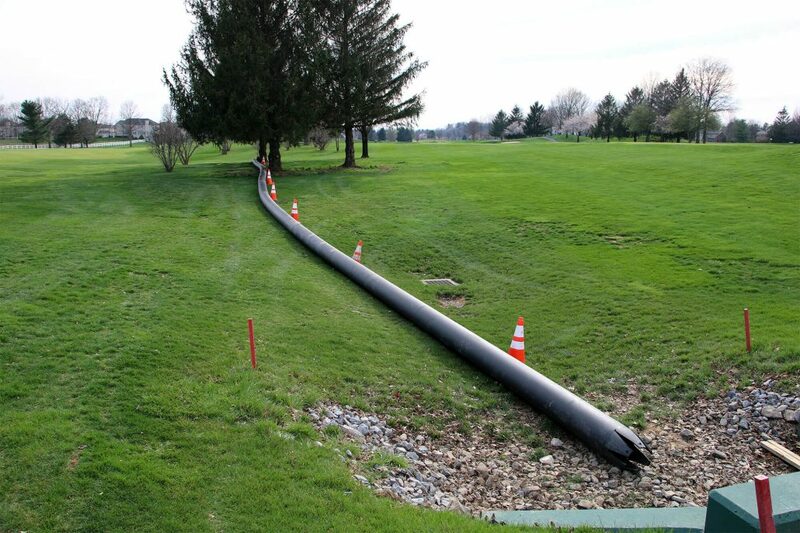 We’ll discuss your project and create a solution to minimize cost and any damage to your landscape and infrastructure. Additionally we complete the work quickly, with little downtime for your members. Call us at 610-993-9300. 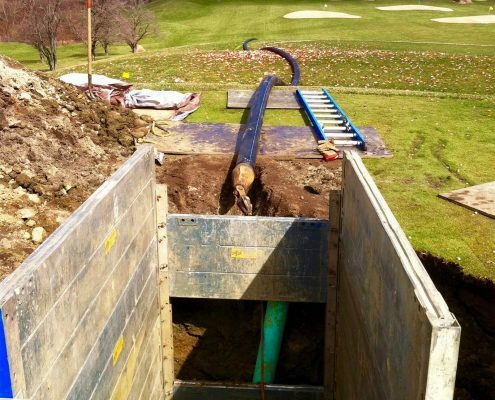 We’ll discuss your project and help you find the best solution whether it involves traditional plumbing and excavation or one of the new trenchless technologies like pipe bursting, pipe lining, CIPP, pipe boring, directional drilling and slip lining. 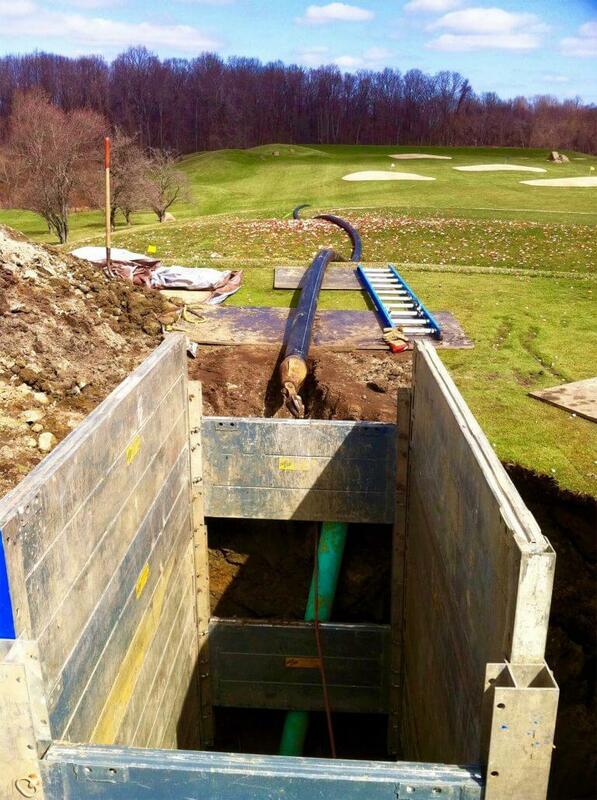 Remember we can even upsize buried piping with our pipe bursting equipment.